`Not toast': Will Trump replace Yellen at the Fed? Federal Reserve Chair Janet Yellen, during her July 12 testimony in Washington before the House Financial Services Committee. Presidents come and go, but the Federal Reserve, like so much in our government, grinds along anyway. The central bank's Open Market Committee sets interest-rate targets, accumulates (and says it's trying to cut back on) government-backed bonds, convenes Ph.D. economists to scuffle over whether it could do more to keep Americans working and shopping, and attracts critics claiming it favors the rich more (or less) than other financial regimes do. President Trump gets to nominate a Fed chair this fall, for a four-year term starting in February. As Candidate Trump, he accused the incumbent chair, Janet Yellen, of propping up Barack Obama's Democrats by conspiring to keep money artificially cheap, boosting stocks. Since winning the White House, he has praised her for the same policies, which now favor him as the incumbent, as long as the economy keeps growing. Reversing a threat to ditch her, Trump earlier this summer told the Wall Street Journal that Yellen "is not toast" and that he might keep her. "There are few examples of subjects on which his public statements do not contradict," says Tim Quinlan, senior economist at Wells Fargo. 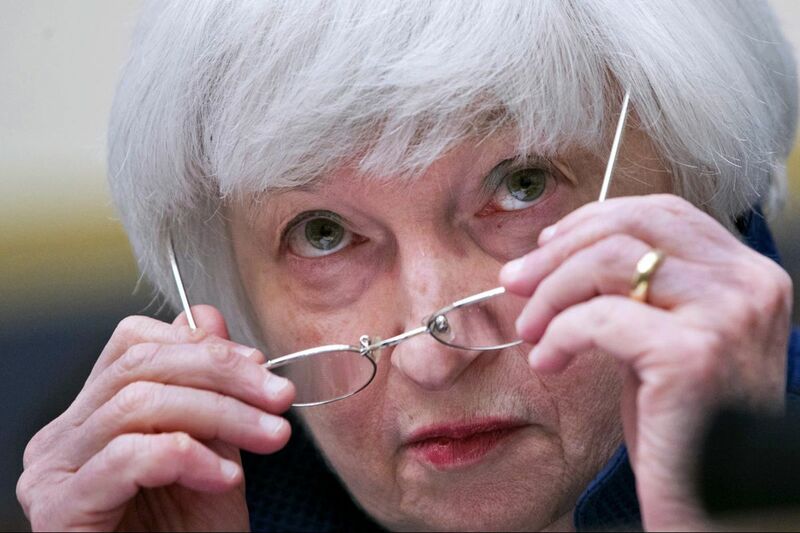 The odds Yellen stays: 1 in 6, according to a recent poll of the National Association of Business Economists. The front-runner at 1 in 3 is, like Yellen, a Democrat: former Goldman Sachs president-turned-Trump adviser Gary Cohn. The poll was taken before Cohn on Friday boldly criticized the administration's response to pro-Nazi and anti-Jewish demonstrators in Charlottesville, Va., criticism that provoked Breitbart News, run by former Trump aide and self-described economic nationalist Steve Bannon and funded by hedge-fund billionaire Robert Mercer, to headline Cohn's "dump on" Trump as part of an "establishment" effort to capture the president's agenda. The economists gave longer odds for two Stanford University scholars — Kevin Warsh (a George W. Bush-era Fed governor) and John Taylor (famed among economists for underlining the link between high interest rates and low inflation) — and Columbia University economist/Bush and Mitt Romney adviser Glenn Hubbard. "Janet Yellen is by far the best candidate for the job," argues Peter Conti-Brown, a Fed scholar and business ethicist at the University of Pennsylvania's Wharton School. Given her long pre-chair service on the Open Market Committee, Conti-Brown calls Yellen "the single most experienced central banker in the Fed's history." She has acted "free of dogma" in her "collaborative" approach to consensus on bank rescues, inflation-fighting, and other tough decisions — the opposite, Conti-Brown says, of a cartoonish, power-crazed, secretive central banker. Like Cohn, Yellen on Friday put space between herself and Trump when she spoke out at the central bank's yearly gathering in Jackson, Wyo., in favor of the Obama-era bank capital and lending rules designed to keep lenders from wrecking themselves again (as they did in 2008). Trump and his treasury secretary, Steve Mnuchin (another Goldman Sachs alumnus), are more open to easing rules banks blame for making it harder for them to lend. On its main business of stabilizing the economy, "any credible Fed chair candidate would not meaningfully alter the market outlook or our baseline focus for GDP growth, interest rates or the dollar," Quinlan writes. Under Yellen, inflation is below the target 2 percent, and official unemployment has slipped below 5 percent (though Philadelphia Fed President Patrick Harker reminds us that a lot of Americans aren't trying to work, or have only low-paid jobs). But economic growth remains around 2.4 percent, well below the Republicans' professed 4 percent target. Any new Fed chair will likely try to sell more of the trillions in bonds the Fed accumulated rescuing big U.S. banks and trying to restart the economy after the 2008 financial crisis — and will likely have to reverse that and buy more bonds, if the economy slows down before interest rates get high enough to start using them as a lever on the economy. Quinlan says the Fed chair may be most important as a symbol, a human face at Washington meetings and on the nightly news showing the world that someone who looks and talks serious is in charge of America's money.